This article is the second part of a three-part series on Tokyo Review. Part I covered the political calendar from September 2018 to October 2021. 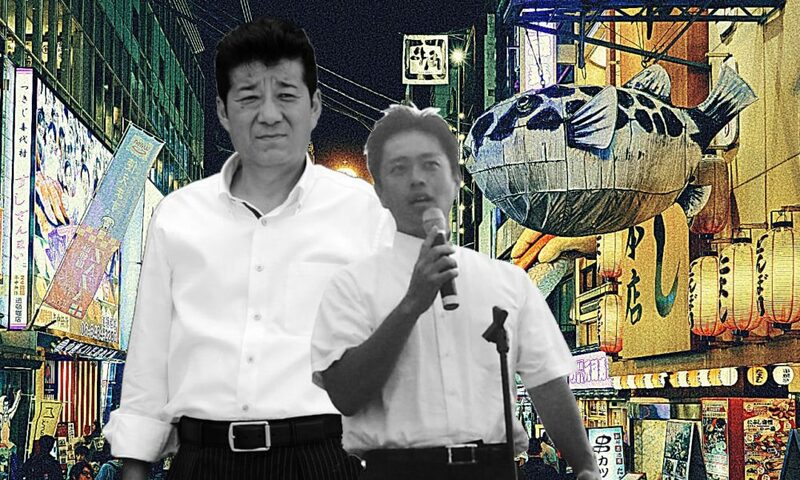 Shinzo Abe and Shigeru Ishiba will offer a list of campaign promises prior to the Liberal Democratic Party (LDP) presidential election in September, and the showdown will ultimately come down to a battle between status quo and reform. Both Abe and Ishiba are likely to make promises about how they will reinvigorate the economy and rectify social welfare issues like Japan’s aging population and work-life balance. 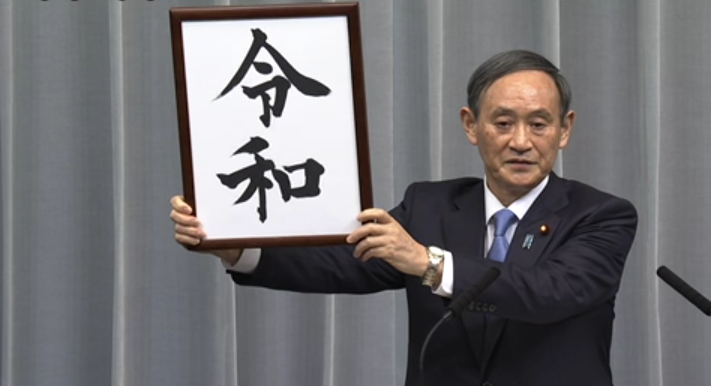 Ishiba, who is focused on winning the regional LDP votes, will prioritize regional revitalization and LDP structural reforms aimed at reshaping the party for the modern century (and for a contemporary voter base). Meanwhile, Abe is the status quo candidate, so despite any lofty new promises made ahead of the September election, a third term will see a continuation of a policy agenda that has been consistent since 2012. The fact that Abe does not have a litany of new agenda items does not mean that his plate is not full. 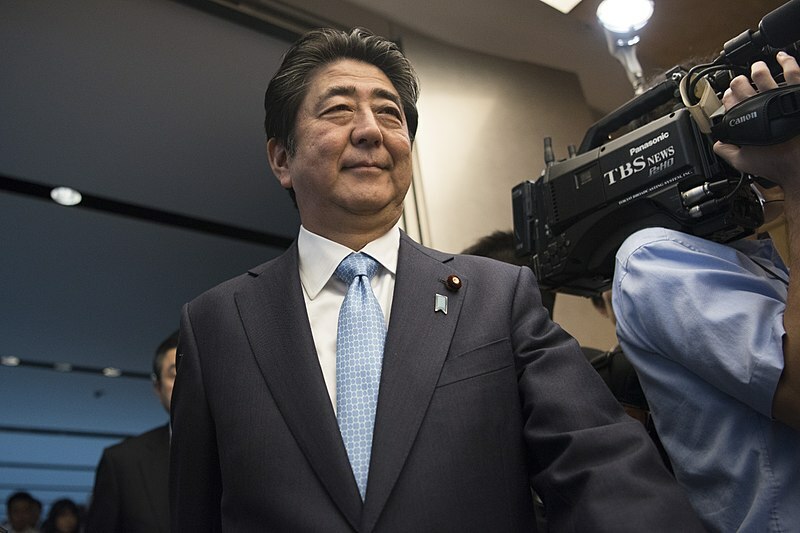 Abe’s third term will focus principally on managing the political calendar and seeing through existing initiatives, while any new policy goals will primarily be the products of other LDP and Komeito entities. Importantly, Abe will seek to avoid introduction of controversial laws in the near-term, especially in 2019 to avoid adverse effects on upcoming elections. Part I of this series covered the upcoming political calendar, and Abe is going to have his work cut out for him managing it, especially in 2019 with two key elections and imperial succession. Ensuring the success of those key events will be Abe’s top priority since the stronger he performs there, the more political capital he will have to employ in subsequent agenda items later. The Japanese economy under Abe has performed adequately but has not met the lofty expectations that he set when entering office in December 2012. His commitment to TPP and the avoidance of a bilateral free trade agreement with the United States, among other key policy directions. However, Abe will be forced to make a difficult decision ahead of October 2019 when the consumption tax hike is scheduled to occur. He has already delayed it once, in part because of the adverse impacts of the previous tax rise and in part because of elections; Abe’s announcement regarding the previous delay came just a month prior to the July 2016 House of Councillors election. With the tax hike scheduled to come less than four months after the 2019 House of Councillors election, Abe’s decision of whether to delay the tax hike will invariably have consequences for both the election and the economy. North Korea presents Abe’s foremost and immediate foreign policy problem. 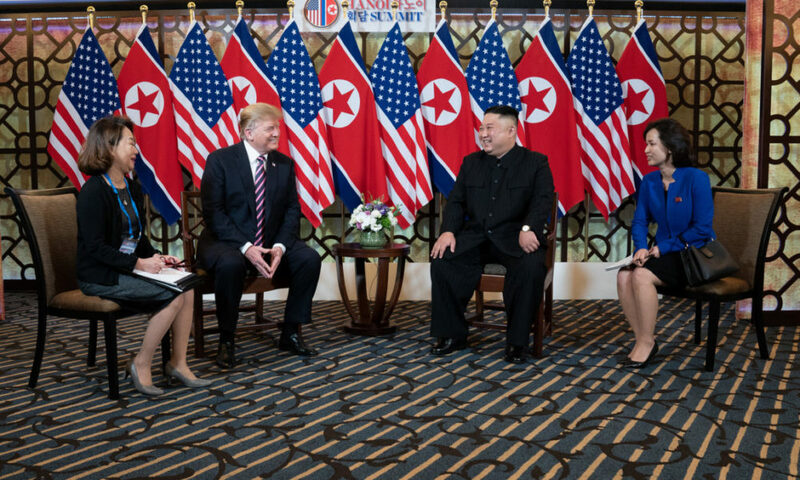 Resolution of the abduction issue has long been a legacy agenda item for Abe, and the DPRK’s unabated progress on nuclear and missile development is a principle security concern. Early on in his tenure, Prime Minister Abe sought to reinvigorate discourse with North Korea on the issue of abduction of Japanese nationals. Representatives from the two governments met five times in 2014 on the subject before North Korea abruptly ended the talks. With the Kim regime’s recent diplomatic outreach to China, Russia, South Korea, and the United States, Abe will push for reopening the dialogue. The fact that North Korea appears to have formed a negotiation team will be encouraging for Abe. In his third term, Abe will seek to maintain the maximum pressure campaign as much as possible while prioritizing resolution of the abduction issue. Progress on that issue constitutes a necessary show of faith before the Abe administration will make any concessions on a deal that includes relaxation of sanctions in exchange for denuclearization. Abe will enter his third term as LDP president on the heels of his summit in Vladivostok with Vladimir Putin. This coincidentally symbolizes Abe’s intent to maintain engagement with Russia as a foreign policy priority. Among Abe’s many lofty diplomatic goals for Russia remains the Northern Territories issue and the formalization of a Peace Treaty. The Abe administration has made minor inroads including surveys for potential economic cooperation and visa-free visits to ancestral grave sites, but distance remains with Russia towards negotiating an acceptable, permanent solution. Undeterred, Abe will continue to engage his Russian counterpart and support lower level intergovernmental discourse. All of this is in an effort to see progress on this legacy agenda item even if a four-island (or even a two island solution) is well out of reach. 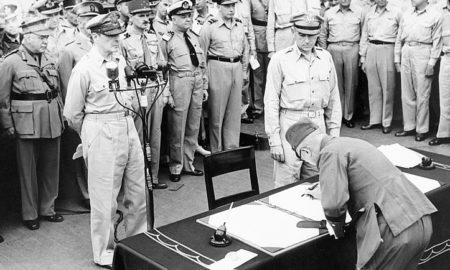 The Free and Open Indo-Pacific (FOIP) strategy is by no means an Abe brainchild, but Abe’s level of prioritization of foreign policy goals is unique to only a few postwar prime ministers. 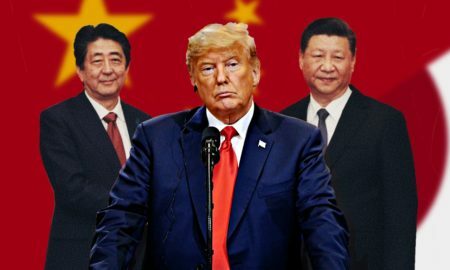 Further, counterbalancing Chinese influence in the region has been a priority for Abe since he took office, and his administration has been active to this end. Japan has engaged in everything from an increase of ODA in Vietnam to efforts to step up military-to-military cooperation with India. Abe, backed by long-time National Security Advisor Shotaro Yachi and his National Security Secretariat, will continue to show leadership in this initiative in his extended tenure as prime minister. Prime Minister Abe made waves in May 2017 when he announced his intent to amend the Constitution by 2020. His original plan was to have LDP consensus by December 2017 for coordination with other parties by the opening of the Diet in January 2018. However, a series of scandals, inability to achieve LDP consensus on the text of the proposed amendment, and tumbling public approval halted any progress on amendment. This agenda item remains a priority for Abe, but his inability to shake the scandals and achieve consensus among LDP members is now causing the timeline for amendment to bump up against two key elections. Tying constitutional amendment to those elections could yield negative results, so Abe will have to wait. If the LDP and Komeito enjoy a miracle performance in the next House of Councillors election and they end up controlling two-thirds of the house, then constitutional amendment will be back on the table. If not, there is little incentive for Abe to take the lead on this initiative, leaving it instead as a party-wide effort that will be worked sometime after the 2019 elections are over. 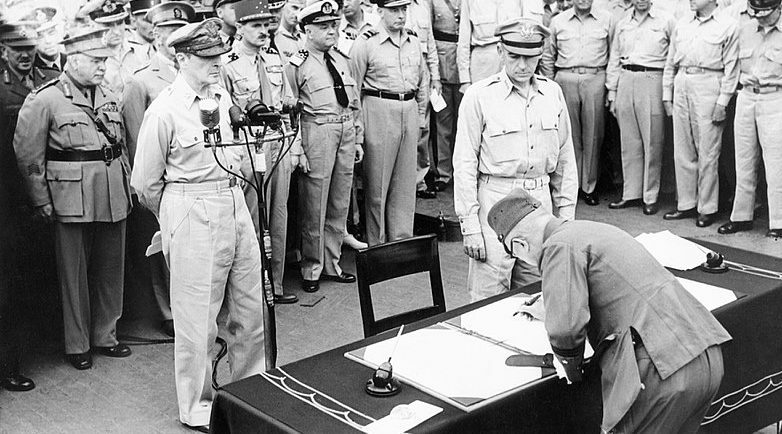 Although constitutional amendment appears out of reach, Abe is poised to achieve another of his Self Defense Force-related goals, and that is accomplishing a fait accompli with defense spending. He has advocated for annual increases in defense budget without exceeding one percent of GDP, per the de facto ceiling that has existed since 1976. Former Prime Minister Yasuhiro Nakasone exceeded that ceiling once by allowing pay increases for SDF members to surpass the one percent cap, but when he tried to go further, even members of the LDP threatened to support a no-confidence vote. Abe is in a different position now than Nakasone was then, since the party’s Research Commission on National Security also advocates for an increase of defense spending to exceed the one percent ceiling. The Ministry of Defense will be publishing its five-year defense acquisition and sustainment plan (the Mid-Term Defense Program, or MTDP) for 2019-2023, and that will offer Abe the opportunity to shoot for a defense budget likely between 1 to 1.2 percent of GDP for fiscal year 2020. Legacy is important to Abe, and no doubt two dates are marked on his calendar: November 22, 2019 and August 24, 2020. In November 2019, he will pass Taro Katsura as Japan’s longest serving prime minister (nonconsecutive terms), and in August 2020, he will beat his great uncle, Eisaku Sato (consecutive term). For this to happen, Abe will need to shepherd a successful House of Councillors election (a poor showing would be grounds for him taking responsibility and stepping down) and ensure a smooth and successful Tokyo Olympics while avoiding scandal or major political mistakes in between. Although most observers recognize the deals Abe has made with other LDP leaders that will influence post-Abe party leadership, Abe will still want to posture his own designated successor. The problem is the weakness of Abe’s bench. Most of the individuals closest to him all have ties to scandals or possess negative performance records since 2012. 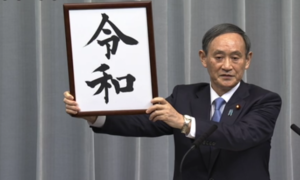 His only remaining options are Katsunobu Kato and Hiroshige Seko, who will likely continue to receive cabinet or other senior level postings in the government or LDP. In the meantime, Abe will continue to build-up junior members of his home Hosoda faction through Vice-Ministerial postings. This will enable him to shore up a future power base within the party so he can still carry influence in LDP policies whether active in the Diet or retired (much like his own mentor, Yasuhiro Nakasone). Part III of this article will examine lingering questions and things to watch in Japanese politics in the coming months.